At the beginning of (and during) each month, HBO adds new movies and TV shows to HBO Go and HBO Now. Below, you’ll find our April 2017 recommendations. For more comprehensive coverage of the best titles available on HBO and elsewhere, check out Vulture’s What to Stream Now hub, which is updated throughout the month. 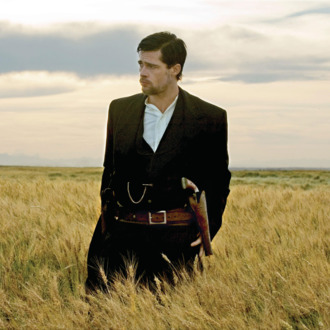 Like an old gunslinger’s longtime second, Andrew Dominik’s 2007 Western has been quietly building its legacy while its showier contemporaries (like No Country For Old Men) hogged the spotlight. But by now, it seems pretty safe to declare that this excavation of the legendary outlaw’s (planned) death at the hands of his worshipful yet conflicted sidekick is a bonafide work of genius, from Brad Pitt and Casey Affleck’s performances as weary men circling each other’s misdeeds like caged animals to Roger Deakins’s luminescent cinematography (the train robbery will knock your socks off). Fittingly for a movie about Jesse James, Assassination has the power to haunt you long after its time is up. Available April 1. No need to re-open the moldy debates over Danny Boyle’s 2008 Best Picture winner about the slum child who miraculously becomes a game-show hero for the age of globalization. Let’s just simply to note that, if you choose to embrace Slumdog Millionaire, you will find a simple, profound piece of filmmaking that grants the gift of believing there could be a grander goal to every awful thing that happens in our lives. Our sorrows could be linked inextricably to our triumphs, our reluctant submission to a capitalist system could be the thing that leads us to the love of our lives, and instead of being held captive to the whims of destiny, we could instead do as Dev Patel’s Jamal does: challenge it, dance with it, steer into it with a righteous aim. Available April 1. Rebecca Skloot’s 2010 nonfiction book about a black cancer victim whose cells became the basis for decades of medical treatments is a modern classic of the popular-science genre, masterfully weaving together issues of race-inflected science experiments and medical ethics. So, how on Earth is HBO going to pull off a successful dramatic adaptation of a decades-spanning, medical-terminology-drenched story about cancer cells? With Oprah’s help, of course. Winfrey is exec-producing the film and stars as Lacks’ descendant Deborah, while Rose Byrne plays Skloot, who didn’t insert herself obtrusively into the original book’s narrative but on film will likely make for an easy … er, connective tissue. Available April 22.